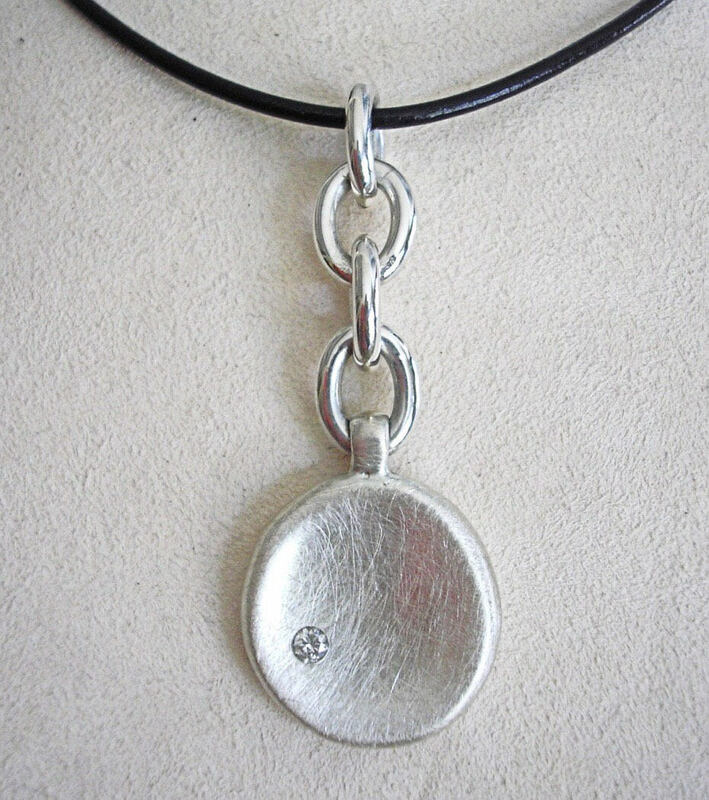 A casual pendant featuring a concave oval suspended from four heavy oval links. The concave pendant has a scratch finish, and is flush-set with one round natural diamond weighing .12 carat. 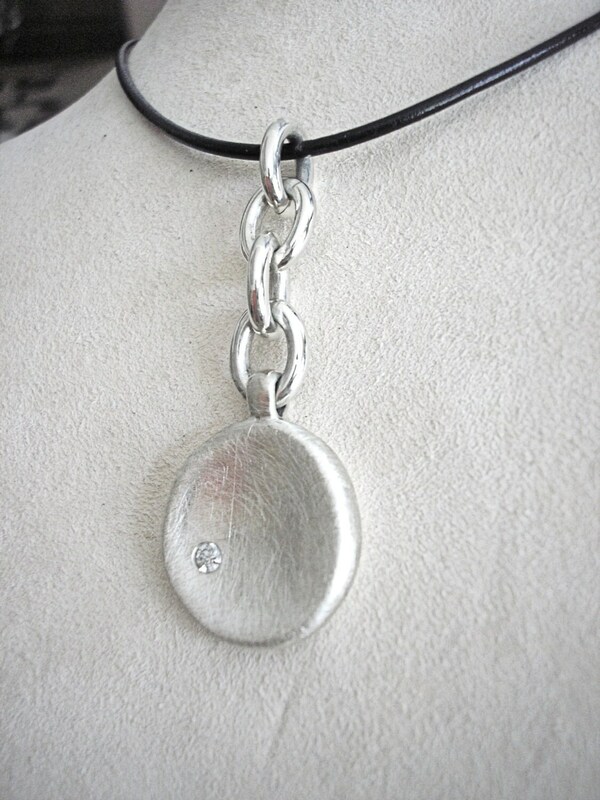 This pendant has substantial weight at over 15 grams! Suspended from a black leather neck cord with sterling clasp.